There is no debate about whether or not Jesus lived and died some 2,000 years ago. There is, however, ongoing debate about exactly who Jesus was or is. Even those who are not fully persuaded by the claims of Christianity often have great respect for Jesus. Among those who reject the idea that Jesus was God in the flesh and a mediator between God and man, there are many who acknowledge Jesus to some degree. “Jesus was a great moral teacher,” some say, “but he wasn’t God.” According to this view, Jesus is to be followed as a great human being, but not as a divine one. This idea that Jesus was merely a great human being is indefensible. Jesus made the most astonishing claims, not only about God, society, morals and ethics, but also about himself. He claimed to have the exclusive authority to forgive sins, to be the representative of all humanity come to die in order to reconcile man to God, and to be the only way for people to attain salvation in this life and heaven when they die. Faced with the fact that Jesus clearly made these claims about himself, there are three things that we might say about him. Either Jesus’ claims were false and he knew it, or his claims were false and he didn’t know it, or his claims were true. None of these three options suggests that Jesus was just a great, but merely human, teacher. If that is your view, you need to think again. The first possibility is Jesus’ claims were false and he knew it, in which case he was a liar. If Jesus did not believe that his claims about himself were true, then when he made those claims he was lying. Jesus’ claims about himself were so central to his teachings, though, that if they were lies then he can hardly be deemed a great teacher. If Jesus set out to systematically deceive people about who he was, how their sins were to be dealt with and how to gain access to heaven, then he was among the worst teachers that have ever walked the earth. The second thing that we might say about Jesus is that his claims were false and he didn’t know it, in which case he was a lunatic. If Jesus believed that his claims about himself were true, and they weren’t, then he was a delusional egomaniac. If an ordinary person believes himself to be God incarnate, then that person is, put quite simply, insane. The third thing that we might say about Jesus is that his claims were true, in which case he was, and is, Lord. If Jesus believed that his claims about himself were true and they were, then Jesus was not only a great human being, but was also God on Earth and the only mediator between God and man. If we take Jesus seriously, then we must take Jesus’ claims about himself seriously. We cannot say that Jesus was a great teacher whom we admire and look up to, but that the most fundamental element of his teachings was a monumental error. Jesus was not a great, but merely human, teacher; he was either much less than this, or much more. 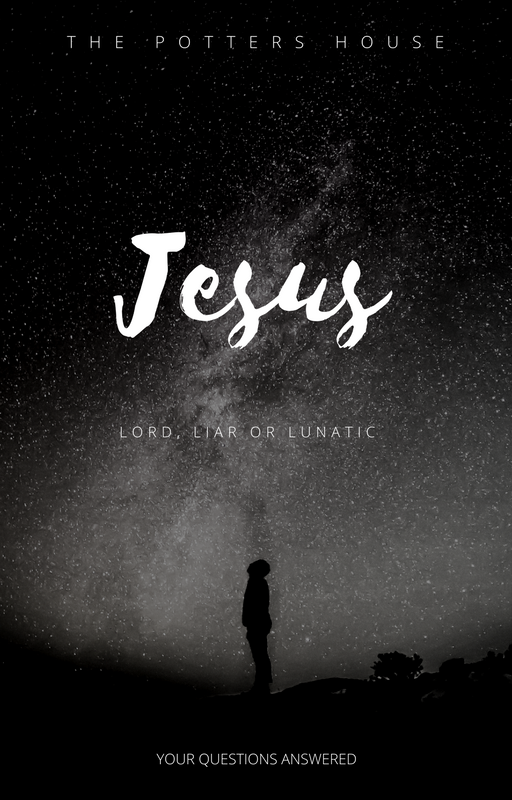 It is unreasonable to write Jesus off as either a liar or a lunatic. His teachings remain some of the most profound and enduring ever and so the most logical conclusion is – he is Lord. In addition to this, we have the strongest possible evidence that Jesus knew what he was talking about, especially when it came to the supernatural. There is substantial historical evidence that Jesus worked miracles while here on earth, but that he himself was raised from the dead three days after his crucifixion, endorsing and substantiating his claims to religious authority. The Resurrection was a divine authentication of Jesus’ teachings, God’s confirmation that Jesus’ teachings were true. If this is correct, then there can be no doubt as to which of the three positions concerning Jesus outlined above is the correct one.